This time, we will explain how to create your own script, such as log output to know the timing of state change and definition of state transition by original condition. 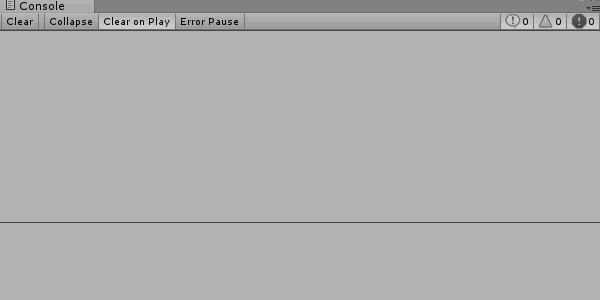 In addition, we will not provide a basic explanation of the script in Unity. For details, refer to the Unity manual “Scripting”. For information on creating projects and importing Arbor, please refer to “Getting Started : Preparation for using Arbor”. There are two kinds of scripts for Arbor, and this time create StateBehaviour which can be set to state. 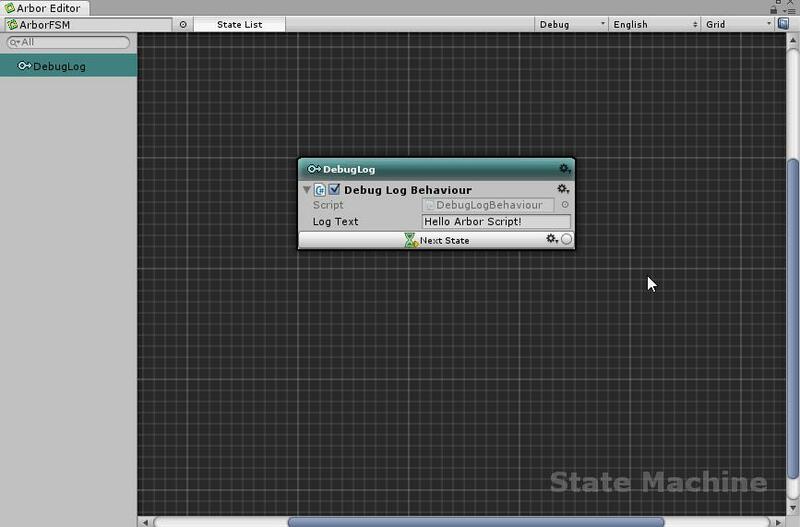 First, open the Assets folder in the Project window and select “Arbor> StateBehaviour> C# Script” from the Create button. Then name the script “DebugLogBehaviour”. 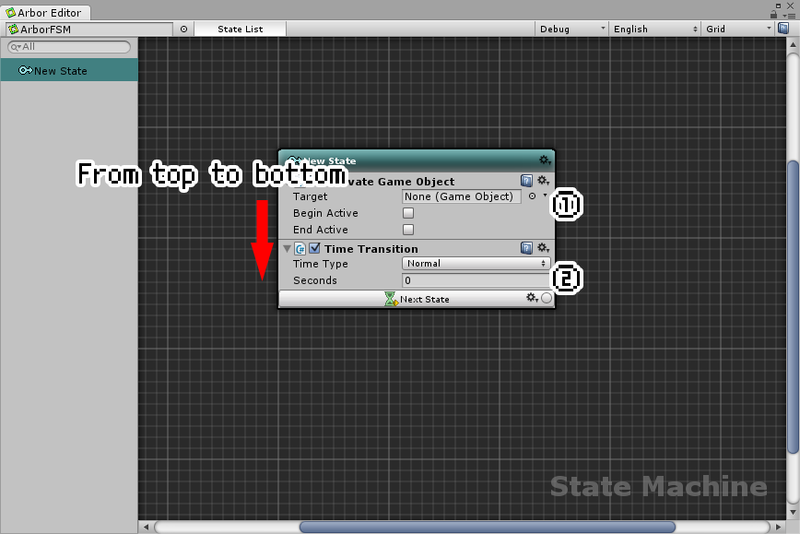 StateBehaviour is a script that can describe the state behavior of ArborFSM like TimeTransition and ActivateGameObject used in the basic section. In addition to control for state, you can use editable parameters and callback like OnCollisionEnter like MonoBehaviour. Let’s double-click the DebugLogBehaviour.cs file we created earlier and open it in the IDE. For newly created scripts, commonly used callbacks are predefined in general. This OnStateAwake (), OnStateBegin (), and others are callback methods involved in state control. In brief explanation, it plays the following role. OnStateAwake() This is called only once before OnStateBegin () at the time of entering the state for the first time. OnStateBegin() This is called when FSM enter the state. OnStateEnd() This is called when FSM leave the state. OnStateUpdate() This is called every frame while entering the state. As the call timing, it is the same as MonoBehaviour.Update(). 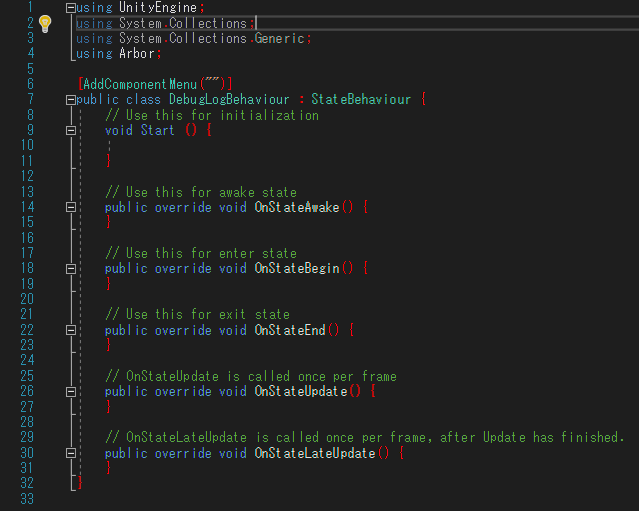 OnStateLateUpdate() This is called after every frame Update () while entering the state. As the call timing, it is the same as MonoBehaviour.LateUpdate(). Also, if you have added multiple behaviors to one state, these callbacks are called in order from the top when you see them in the Arbor Editor window. 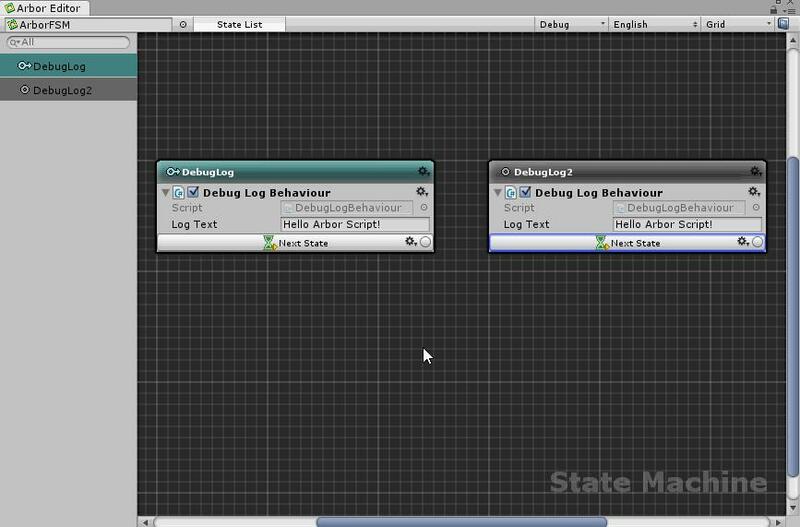 For more information about StateBehaviour, see “Scripting : StateBehaviour”. First of all, let’s check the logs displayed at the time of entering the state and make sure that the script is running normally. Open the DebugLogBehaviour.cs we created earlier in the IDE and write in OnStateBegin(). In addition, we will only describe the edited places, so please understand. 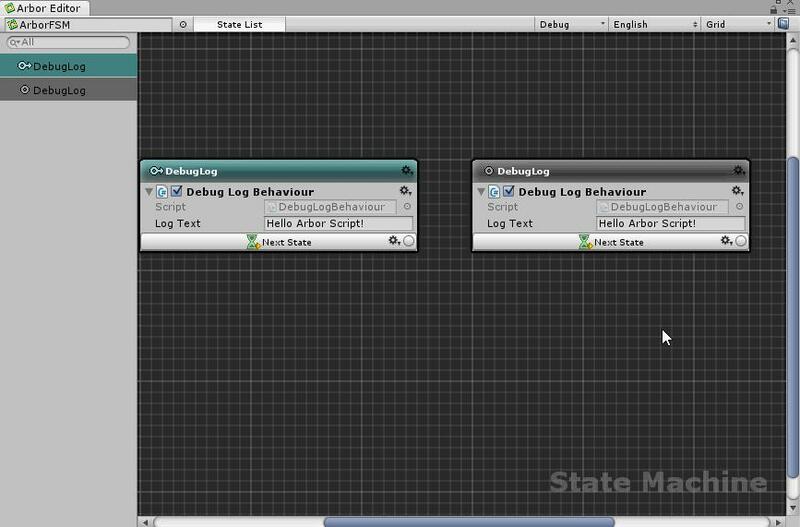 Since the state setting script can be referred to by the state property, we also make state name out there in the log. If you can write it, save the file and return to Unity. 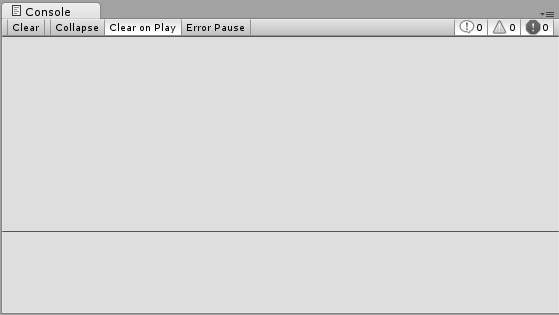 From the Create button of the Hierarchy window, select “Arbor > ArborFSM” to create a GameObject with ArborFSM component attached. 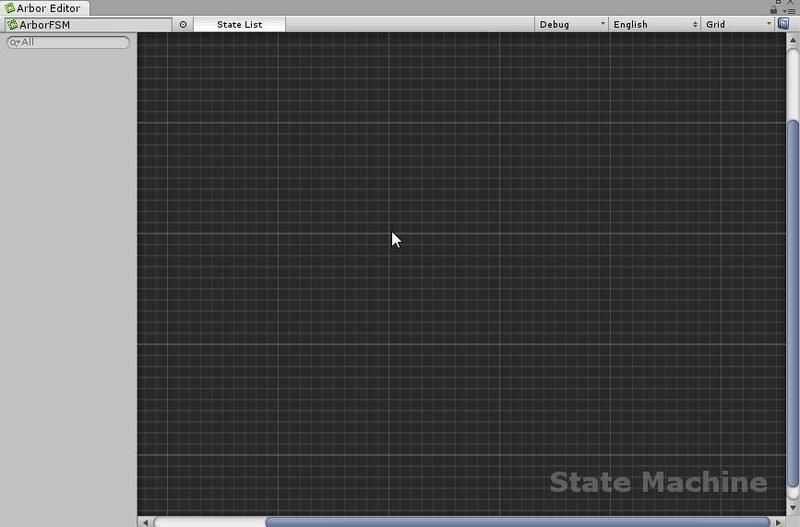 Open the Arbor Editor window from the created ArborFSM object and create the state. Set the state name to “DebugLog”. Add DebugLogBehaviour to the DebugLog state. By default, the created script will be stored in Scripts of the Add Behavior window. Click the DebugLog state setting icon and select “Add Behaviour”. Select “Scripts > DebugLogBehaviour” and add it. Since DebugLogBehaviour has no parameters, there is no need to set anything, so it is complete. Let’s run once here and check it. Since it is not possible to check the log if the Console window is not displayed, please select “Window > Console” of the menu and display it if you do not have it open. Press “ Play button” to check the Console window. Then, OnStateBegin() of DebugLogBehaviour added to the DebugLog state is called, and the log described earlier is now displayed. 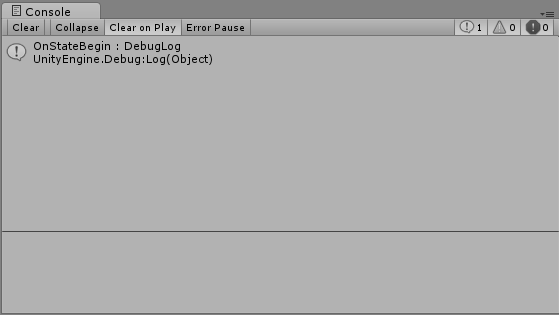 Next, let’s declare the parameters in the DebugLogBehaviour and allow it to be set in Arbor Editor. Open DebugLogBehaviour.cs in the IDE and declare member variables. Since Arbor can declare parameters by Unity serialization function, the basic is the same as MonoBehaviour. In this time, add a string to this DebugLogBehaviour and add it to the log with OnStateBegin() to confirm the operation. Add member variables as follows. If you save the file and return to Unity, it will be recompiled and the script changes will be reflected. 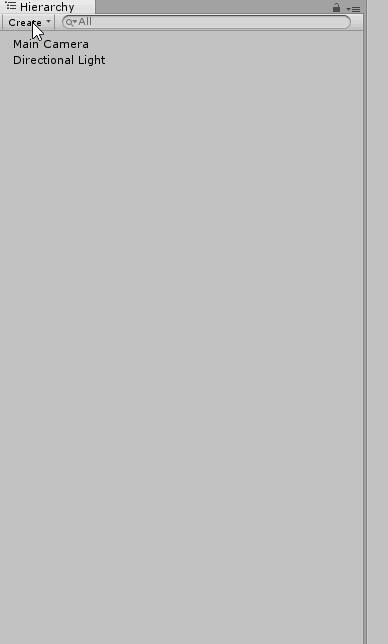 Looking at the Arbor Editor window, I think that the parameters added are displayed. Let’s type “Hello Arbor Script!” Into this added Log Text. Let’s check whether the log is displayed correctly. Please press “ Play button” to put it in the execution state and look at the Console window. I think that you can see that the character string entered in Log Text has been added to the log. 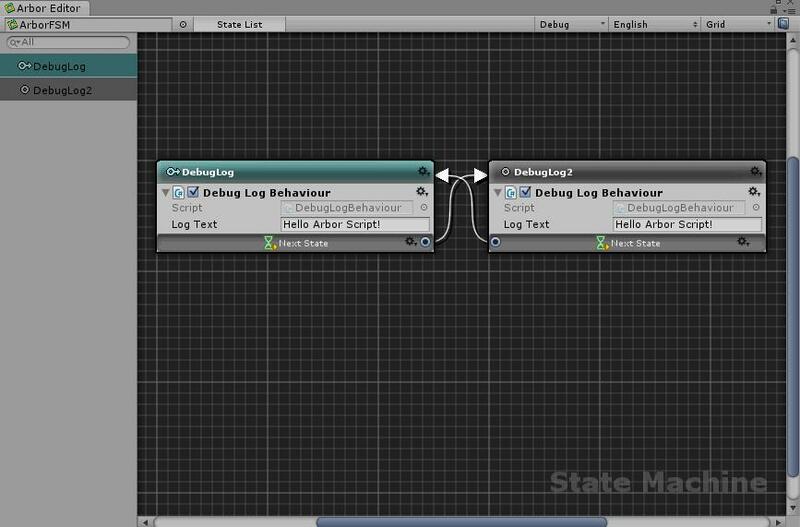 In this way, you can edit the parameters added in StateBehaviour from the Arbor Editor and set the behavior. When StateLink is declared as a member variable, a transition button is displayed and it becomes possible to specify it. Let’s open DebugLogBehaviour.cs in the IDE and declare StateLink. Please add it as a member variable as follows. In this case, we will make transition when Space key is input with OnStateUpdate(). 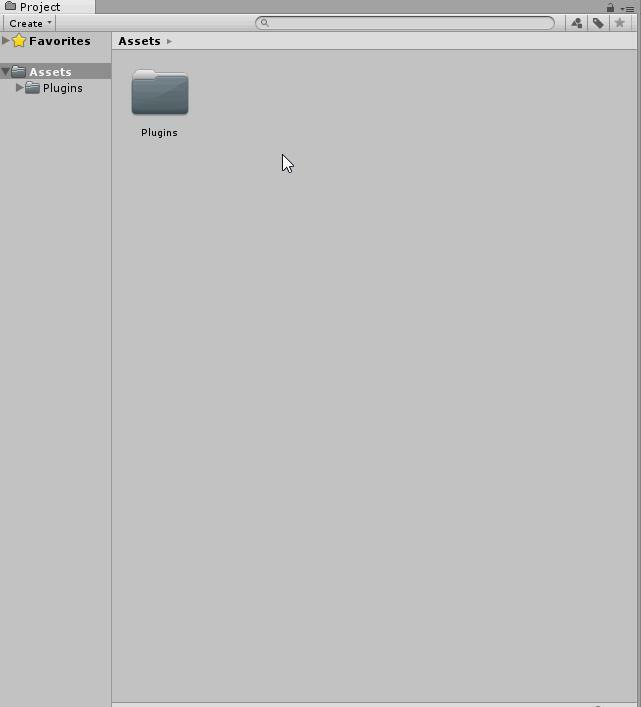 Let’s save the file and return to Unity. You can see that “Next State” has been added to the DebugLogBehaviour in the DebugLog state. Since there is only one state, I will create another state and try to make the transition clearer. This time we will duplicate the DebugLog state. Click the DebugLog state setting icon and select “Duplicate”. Double-click on the name column to make it “DebugLog2” because you can not tell if the name remains the same. Drag & drop the “Next State” in the DebugLog state to the DebugLog2 state. Similarly, connect the “Next State” in the DebugLog2 state to the DebugLog state by dragging and dropping. Now the state transitions each time the space key is pressed, and the log is displayed in the Console. Let’s check the operation at the end. Press “ Play button” to put it in the execution state. While watching the Console window, try pressing the space key in the Game window. You can see that the state switches each time you press the space key and the log is output. If you also check the Arbor Editor window, you can confirm that the state is switched normally. Refer to “Scripting : Data flow” for more detailed customization methods such as passing data between states and calculator nodes. That’s it “Coding” is complete. Next time is “Let’s make a coin pusher”. I will create a simple game like a coin pusher using Arbor.